Here we are through January 2016 already. I hope the new year is gentle so far. There is certainly much happening within our lovely space. The February New Moon is Monday, February 8 and the Full Moon is Monday, February 22. There will be no practice on these days. Take rest instead! 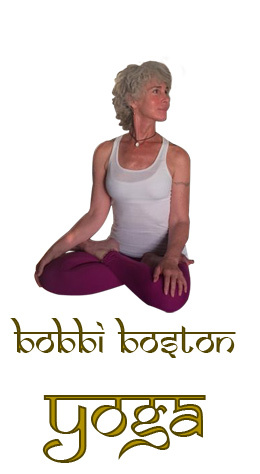 This Sunday at Yoga Works on Montana I will be instructing an introduction to Ashtanga Yoga, Primary Series. If you haven’t already please share this information with anyone you know who may be interested. It is also available on my facebook page. I also want to share this wonderful article and insights from The Ashtanga Picture Project. Please take the time to investigate other posts onto this sight as well. 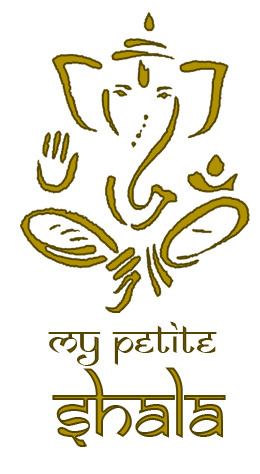 They are full of love and devotion and a great source of information about our practice and life view. You can also find them on Facebook. Thank you Jodi Blumstein for sharing it with me. Thank you all for taking the time to open this and read through and I hope you find the content useful. 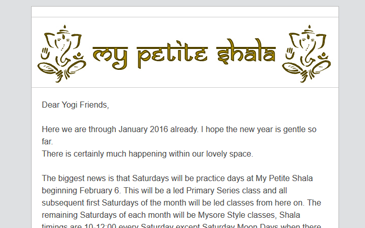 I also want to thank you for your support of My Petite Shala, I am truly blessed to have you in my life and to be able to share this practice with you.